Seventeen employees of Turkish opposition newspaper Cumhuriyet are about to go on trial on charges of aiding a terrorist organization. If found guilty, their sentence could be up to 43 years in jail. A dozen of Cumhuriyet‘s journalists and managers are behind bars in pre-trial detention. Ten of them have been imprisoned for almost nine months. On July 15, Turkey marked the first anniversary of a failed coup. There were massive commemorations held by thousands of jubilant people, hailing the day as the triumph of democracy. However, critics argue that day – and the introduction of the state of emergency soon after – were actually the beginning of a massive crackdown, with more than 50,000 people arrested in the last year. Press freedom groups say Turkish media has been particularly hard hit during this period, as about 150 media outlets have been shut down. Turkey is currently listed as the country with the biggest number of imprisoned journalists. Journalism organizations say more than 150 journalists are behind bars, most of them accused of terror charges. However, the government contradicts that figure. Can Dundar, the previous editor-in-chief of Cumhuriyet newspaper, is the number one suspect in the case starting on July 24. He was give a three-month jail term last year for espionage in another case but was released on bail. He now lives in exile in Germany. He too gives the figure of imprisoned journalists as more than 150. 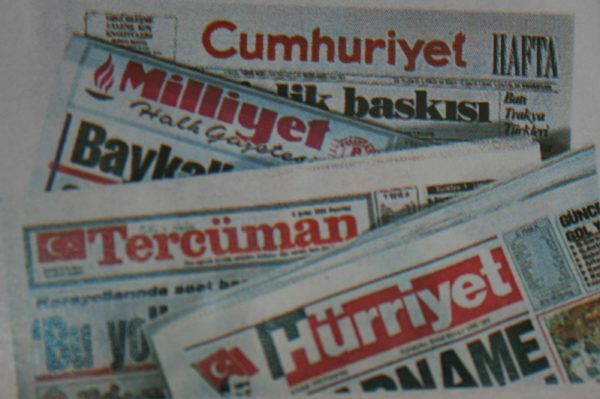 In the indictment against Cumhuriyet, there are accusations such as “changing the paper’s editorial policy”, preparing “violent and divisive news” and “interviewing leaders of terrorist organizations”. “This is an oddity, it is absurd,” says defense lawyer Adil Demirci. The head of media organization PEN Turkey, Zeynep Oral, believes the state of press freedom in the country is the worst it has been for decades. “You never know what will happen tomorrow,” she says. Journalists and press freedom activists all over the world will be watching the Cumhuriyet trial very closely. The hearings are expected to last all week. Donald Trump: "US President Has the Complete Power to Pardon"